Timothy Smith is the Vice President of Business Development at Tecore Networks. Mr. Smith’s responsibilities include developing and executing company sales and marketing plans, in addition to implementing new ideas and tools to enhance the company’s initiatives. He brings nearly 30 years of experience across the government, commercial and non-profit sectors. Prior to Tecore, Mr. Smith was a Division Vice President at CACI. During his 6 ½ year term he led their Advanced Knowledge Solutions and Integrated Communications groups. 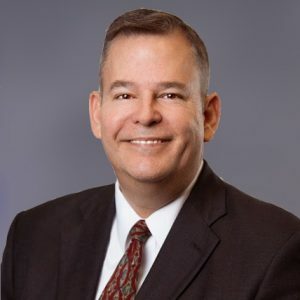 Responsible for the companies HighView product, a robust content and document management system, Mr. Smith oversaw product strategy, development and customer engagements across DoD, the Intelligence Community and the Federal Civilian agencies. In addition, Mr. Smith oversaw the media services, marketing and advertising efforts within the company for clients such as members of the Intel community, the National Guard and others industry parties. Mr. Smith also worked as the Technical Services Senior Vice President for more than 5 years at Virilion (formerly Mindshare Interactive) a leading digital agency within the D.C. Metro area. While there, he was responsible for the development and implementation teams for web, mobile, and social media projects. Sirius | XM Radio, eBay, the Business Software Alliance, National Association of Realtors, PHARMA, and the National Baseball Hall of Fame were a few noteworthy clients. He was also leader in sales developing new clients and partnerships. Initially, Mr. Smith spent nearly 10 years with the Defense Intelligence Agency (DIA) providing technical support for analysis around counter-terrorism, counter-narcotics, and special operations support. He ended his time with DIA as the Division Manager of their Technology Integration Lab. Mr. Smith holds a Bachelor of Science in Business Administration from Iowa State University.